P.S. 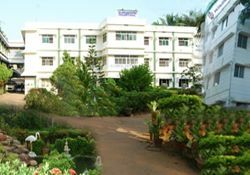 College of Nursing was started in 2008-09 and accredited by the Indian Nursing council ( INC - Certificate No. 18-29/4460-INC), Tamil Nadu Nurses & Midwives Council (Ref. NO. 276/NC/2008 DT. 30.05.08) and affiliated to the Tamil Nadu Dr. M.G.R. Medical University. Institution has highly qualified experienced and dedicated faculties in the field of nursing. For the other non-nursing subjects, they have highly qualified teachers.